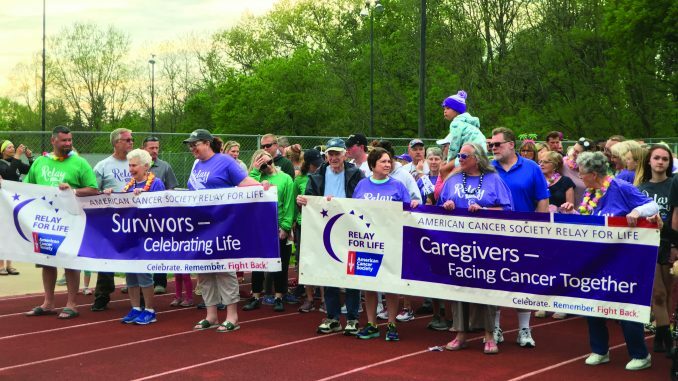 For the past 16 years the Rockford Relay For Life has been one of the most successful in the area, raising millions of dollars towards the American Cancer Society. Relay For Life is a community based fundraising event of the American Cancer Society. Each year, more than 5,000 Relay For Life events take place in over twenty countries. The faces behind the fundraiser are why it is such a successful event that brings hope across America. 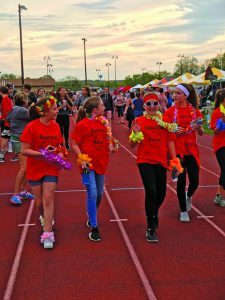 This year, at the North Rockford Middle School, the Rockford relay raised about $5 million dollars. The reason behind the community’s success is the stories that motivate them. Cancer effects everyone in some form, but instead of losing hope, the people of Rockford have worked hard to create it. The faces behind the Rockford Relay and their stories are what make this fundraiser a success. Cedar Springs Michigan, Kelly Darling, is an English teacher at East Rockford Middle School. She was one of many teachers running the ERMS booth. Their booth sold used books and CD’s for people of all ages. This year’s Relay For Life was a Hawaiian theme. The entire stadium was covered in beautiful flowers and bright colors. The fundraising booths were filled with fun activities, games, prizes, and other creative items. Rockford Michigan, Brian Deuel, has been involved with Relay since the start of the Rockford’s event. Deuel job is to help with parking, coordination and operations involving the event. “We have a great community for the event,” Deuel said. Rockford’s, Dawn Nobel, mother, and her daughter Mercedes, ran the Noble Superhero’s booth. They have been involved with Relay for 15 years. Although creative, there is more significance to their booths name than its catchiness. Mercedes cousin Jack passed away at age three from cancer. Sparta, Julie Klinger, has been involved in Relay For Life for 9 years. This year was her first Relay at Rockford. Her booths name was Brian’s Battle Buddie. They sold Jewelry, mugs, shirts, and raffle tickets. Coming into this years Relay Klinger has already raised $8,800 dollars for the American Cancer Society. She did so by hosting Euchre tournaments and selling flower baskets. Klinger became involved with relay because of her son’s successful battle. Booths are not the only thing that makes the Rockford Relay For Life successful. The attendance of the event and all the 24-hour walkers are a huge help. “I like being engaged and it makes me feel good participating in it,” Rockford, Junior Chloe Cavalli said. 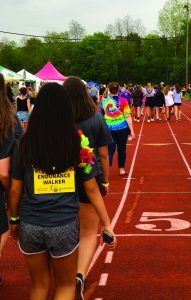 Rockford, Junior, Jessica Bernock was one of many 24-hour walkers this year. The Relay For Life in Rockford Michigan displays how many people are effected by Cancer. Relay For Life in Rockford takes place every year and everyone is welcome to attend and participate in the event. 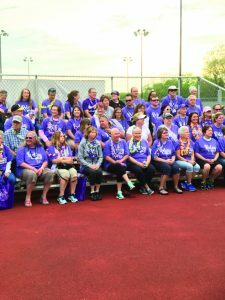 The executive committee of the Rockford Relay For Life is always looking for new members especially due to the size and success of their Relay. 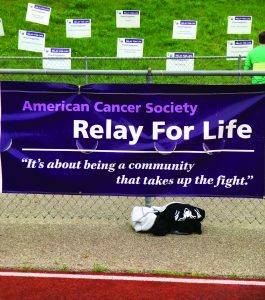 If you are interested in getting involved go on to the Relay For Life web page to receive more information about Relay and the American Cancer Society.